The HP Photosmart D110a is considered to be one of the best all-in-one color photo printers on the market, rating very high among most users and garnering rave reviews on several websites. Incorporated into this sleek design is a printer capable of photo quality prints and a high resolution scanner and copier, among many other things. This model can connect directly to a computer or to a network for print resource sharing. Fast printing speeds and top notch quality, combined with low purchase price make this printer a very popular choice for home users. Black printing can reach average speeds of 29 pages per minute and color printing can reach speeds of 23 pages per minute. Print resolution for color printing can reach 1,200 x 1,200 dots per inch from the scanned or computer-queued source and can be optimized to a maximum of 4,800 x 1,200 dots per inch for enhanced photo printing. A 2.3" LCD display with a TouchSmart frame makes job programming input direct, which can give the user the option to bypass a connected PC for scanning, copying and photo printing. Manual duplex printing is supported by the printer drivers and software, making it possible to print on both sides of a page. Borderless photo printing is possible with photo paper sizes up to 8.5 x 11 in and photos can be printed directly from a memory card that can be inserted into into a built-in card reader on the front of the unit. Supported memory types include Memory Stick Duo and a Secure Digital Multimedia Card, enabling quick transfer of photo data directly from digital camera memory to the printer. Optical scan resolutions top out at 1,200 dots per inch and can be enhanced to as high as 19,200 dots per inch, with a 48-bit depth for impressive photo rendering quality. Black and white copies can be made at a rate as fast as 29 pages per minute and the maximum number of copies that can be processed at once is 30, which is more than sufficient for home use. 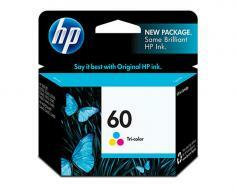 Supported paper sizes range from 3 x 5 in. photo paper to 8.5 x 14 in legal size. Standard built-in connection capabilities are installed to accommodate USB 1.0 standards and 1 WiFi 802.11n wireless link, perfect for sharing a printer between two computers at opposite ends of a home or for allowing quick connectivity to laptops and Wi-Fi capable PDA's. An 80 sheet input tray is more than sufficient to handle the small volume photo print jobs that this machine is intended for. When this printer is combined with a digital camera, the result is a powerful tool for amateur or semi-professional digital photography enthusiasts. 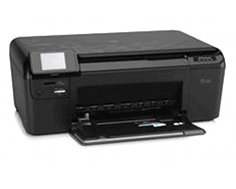 The HP Photosmart D110a is also Energy Star compliant, rated for low power consumption. Black and white print resolution tops out at 600 x 600 dots per inch, offering passable text document quality, and is probably limited to ensure fast print speeds. Limited types of media are supported and it is not recommended that this printer be used to print envelopes, transparencies or heavier types of print media, mainly because this machine is targeted specifically to photo printing needs. The duty cycle for the HP Photosmart D110a is only 1,000 pages which is intended to discourage users from using this printer for regular text document printing on a regular basis, and to ensure that photo quality capabilities are intact for the full life of the machine. The limit on the USB standard to version 1.0 is a relatively slow data transfer rate for high resolution, dense graphic and image data, discouraging users from printing photos from their PC's and negating the wonderful bundle of photo print management software that is included with purchase. Review it: "HP PhotoSmart D110a "
Package ships with one standard-yield black ink cartridge with a capacity of approximately 200 pages and one tri-color cartridge with a 165 page yield. 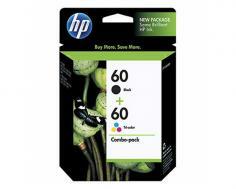 Replacement cartridges can be purchased with these same standard capacities or high yield cartridges can be purchased with a capacity of 600 pages for black and 440 pages for color.